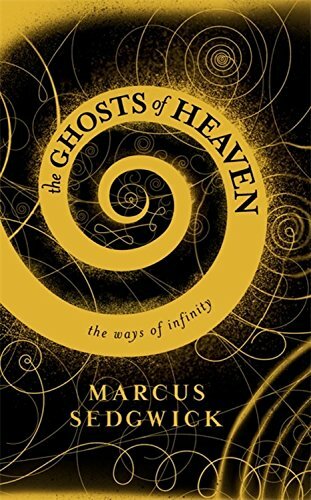 Marcus Sedgwick remains a truly original voice at a time when too many other authors writing for the Young Adult market are opting for yet more of the same. In this novel, written in four separate parts which can be read in any order, he explores no less than the riddle of the universe. For his purposes this is located in an endlessly repeating spiral shape related to the Golden or Fibonacci Spiral, found throughout nature and underpinned by the Phi coefficient, a measure of association for two binary variables. This spiral shape plays a crucial role in all four stories, starting with a prehistoric female finding it scratched in a cave and ending with a space explorer discovering his mission to colonise a new world has been doomed from the start. The least satisfying of the stories is the second, who re-visits already very well–trodden ground in its description of the arrest and prosecution of a beautiful 16th century young American woman accused of witchcraft. All the usual ingredients are there – a vicious and mendacious rival blighted in love, a sinister witch-finder and a weak, easily led populace. But the third story is a winner. Set in a grim mental hospital three centuries later, its account of a new physician trying to take on the cruel and corrupt regime in which he now finds himself is compelling from first to last. And what about the spiral shape that seems to cause such damage in each tale but which also hints at a dark wisdom all would benefit from if only they could understand it? Sedgwick follows this theme through with great application, showering readers with facts and the odd mathematical formula in his determination to raise this quartet of stories into something of real significance. In this he mostly succeeds, although the journey of understanding required is a tangled one and not always easy to comprehend. But what a joy to read a novel demanding more rather than less from its readers from first page to last!